It isn’t so long ago that your doctor would advise you stay away from saturated fat and dietary cholesterol if you wanted to live past your fifties. 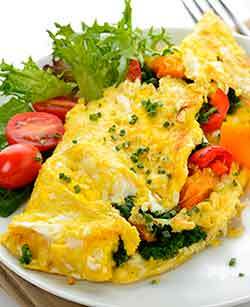 In the eighties and nineties, the egg-white omelette became something people actually paid for in a restaurant, instead of complaining about to management. “Why isn’t my omelette yellow?” is a question that would have earned you several looks of disdain if you were in a restaurant in any major metropolitan city at this time. Unfortunately, for the squeaky clean, cholesterol-free salad-munchers of the world, the tables seem to have turned considerably. All those years of pretending to enjoy something that tasted of nothing appear to have been a big fat waste of time (excuse the pun) as both dietary cholesterol and saturated fat are cruising on the Last-Laugh Highway towards Vindication City. What’s more, it may have been UN-healthy to avoid these two nutrients. And how could this have been allowed to happen? – Answer: interpretation of research. It takes time, years even, to accumulate population-wide data which is the only real scale of data that can reliably show the impact of nutrition on health. 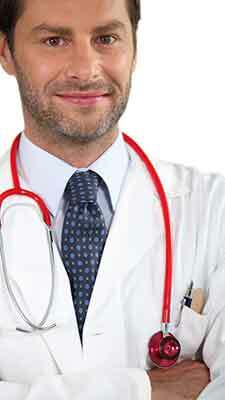 About forty years, in the case of saturated fat and cholesterol. The problem is that they have been outcasts in the eyes of society for so long that people are having trouble embracing them again. Can the ex-convict really be a good guy after being in prison for 40 years, even if he is innocent of the original crime? Luckily, food doesn’t have the emotional depth of a wrongly convicted prisoner. All will be forgiven when you eat a yellow omelette. But…I should still avoid saturated fats, right? Fat Saturation – What Is It? And that’s the problem. It’s hard to let go of an idea when we don’t really get it in the first place. Most mindsets are handed to us from the space between someone else’s ears. You will have heard that saturated fat is bad for you, but you won’t know why and you won’t really care. Life is full of hand-me-down advice: ‘don’t swim after you’ve eaten’…‘that growling dog is more scared of you than you are of it’…‘it’s taking part that counts’. Many of them are complete BS, but the occasional one that saves your life still reinforces the other fallacies. Fat saturation just refers to the amount of double bonds in a fatty acid chain. 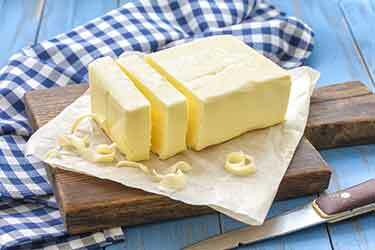 Saturated fats have no double bonds. Monounsaturated have one and polyunsaturated have lots. Saturated fatty acid chains are therefore referred to as straight-chain, as double bonds produces bendy chains and there are none present. Monounsaturated fatty acid chains sort of double back on themselves because of the double bond and polyunsaturated chains are all over the place. Saturated fats can only be told apart from one another by the length of the chain, which stands to reason as they are straight chain. You may have heard of ‘short’, ‘medium’ and ‘long’ chain fatty acids. There’s also ‘very long’ to add even more ambiguity to the scale system. How long’s a piece of string? – Very long! Considering the range of fats and types of fats in the ‘Saturated’ category, they can’t all be treated equally with respect to health benefits and/or side effects. I’ll get to weight gain in a bit, but a more dangerous cousin of obesity is heart disease. And heart disease is the association by which saturated fat and cholesterol have been convicted for so long. Well, the results of many many studies and meta-analyses shows there is not a significant enough correlation between consumption of saturated fats and heart disease. A pessimist would say that there isn’t much to say it helps reduce the risk of cardiovascular disease either. And that’s true for the most part. Famous do-gooder fats like Omega 3s (polyunsaturated) actually help protect the CV system and even our brain from nasty things like plaque build-up, free radicals and other bad guys. Relative to those fats, the saturated variety does look bad. Rather than it being the culprit though, it must be viewed more as an apathetic fat; it just doesn’t really care about our hearts one way or another. Cholesterol deserves its own article (and will probably get one soon) but suffice it to say that saturated fats can increase cholesterol relative to polyunsaturated fats. In reality, it might be more likely that the polyunsaturated fats reduce it, whereas again the saturated ones do nothing. It is more than worth noting that Cholesterol per se is not ‘bad’ either. ‘Bad cholesterol’ is another societal misnomer, which should read ‘Bad lipoprotein’. That lipoprotein would be one LDL – Low Density Lipoprotein – because of its annoying habit of attracting plaque to our artery walls, thereby clogging them eventually, and causing problems like death! LDL’s opposite number – HDL (yep, High Density Lipoprotein) is the good guy in all this. It transports the bad stuff away from our arteries. There’s other densities too, but together they all make up Total Cholesterol. As long as HDL is high compared to LDL (like a 3 to 1 ratio), there is no drama. So, again, it’s all relative. This might be what you’ve skipped ahead to read about, and given this website’s name, you would think it is the most salient point on which to linger. The truth is, there is less to say about saturated fat and…getting fat, than the other topics. Weight gain is reliant on the intake of calories (or energy, or food, if you like) being larger than that which you expend as fuel to keep your body chugging away in whatever activity you choose – be it hopping around a field of daisies or thinking about punching your boss in the throat. One interesting area is that of satiety, or the feeling of fullness from eating. Of all the macro nutrients (Protein, Carbs and Fat), fat is the best at making us feel satisfied. It causes the biggest release of a hormone which suppresses the appetite. It’s a good thing because fat has 9 calories per gram, as opposed to 4 which both carbs and protein have. Nonetheless, per gram, fat is still better at satisfying our hunger! And saturated fat seems to be the best out of the fats at doing this, though research is ongoing. So Should I Replace All Fats with Saturated Fats? No, not at all. The protective powers of polyunsaturated and monounsaturated fats means they should be a valuable part of your diet. However, perhaps you can go easy on yourself with respect to saturated fats. They are not really the baddie we thought they were. Trans-Fats, however…leave those well alone!